Gov. Tony Evers used his first State of the State address on Tuesday to announce he has directed Attorney General Josh Kaul to leave a federal lawsuit challenging the Affordable Care Act. During December's lame-duck session of the state Legislature, legislators passed a new lawthat makes it more difficult for the Democratic attorney general to drop out of the multi-state suit. Under the law, Kaul will need approval from the state budget committee to complete the governor's request. "The people of Wisconsin voted for a change this November and asked us to stop playing politics with their health care," Evers said. "I’ve said all along that I believe the best way to maintain protections for health care here in Wisconsin is to stop trying to dismantle those protections at the federal level." Republican legislative leaders, who control both chambers of the Legislature, were quick to question the governor's move, suggesting Evers might be asking the attorney general to commit an illegal act. "Attorney General Kaul is the top cop in the state, his duty is to obey the law. The law is that he can’t withdraw from the ACA lawsuit without the Legislature's approval," said Assistant Majority Leader Jim Steineke, R-Kaukauna. "Gov. Evers can't direct him to do this without violating the law." State Senate Majority Leader Scott Fitzgerald, R-Juneau, said the request "put (Kaul) in a strange place." Kaul’s office didn't immediately return a request for comment. The governor's announcement Tuesday night comes just hours after a heated debate on the Assembly floor over a bill that would mirror a provision in the ACA — guaranteed coverage for people with pre-existing health conditions. Many Democrats argued the bill will not do enough and Republicans should instead shift their attention to backing and improving the federal health care law. During his comments on health care, Evers also reaffirmed a campaign promise to accept a federal Medicaid expansion in his state budget proposal. He urged GOP lawmakers, who have been opposed to taking the expansion, to get on board with the plan, pointing out a number of Republican-controlled state legislatures have taken the federal money. "At the end of the day, Mr. Majority Leader and Mr. Speaker, health care should not be a partisan issue — Republican states like Kentucky, Nebraska and Idaho have expanded Medicaid," Evers said. "We should be able to get it done here, too." Assembly Speaker Robin Vos, R-Rochester, said after the speech that he sees no room for negotiation on the Medicaid expansion. “We're not going to expand government-run and government-controlled health care," Vos said. The speaker said Republicans will not use Evers' budget proposal as a starting point for negotiations if he includes the Medicaid expansion. Evers addressed that possibility in his remarks. "I expect the Legislature to take up the budget I crafted by and with the people of our state," he said. The governor also reaffirmed his commitment to paying for his proposed 10-percent income tax credit for the middle-income families with changes to the state’s Manufacturing and Agriculture Tax Credit, another move Republicans have called a "non-starter" for budget negotiations. They argue the change amounts to an unacceptable tax increase, while Evers has characterized it as limiting a credit utilized by wealthy business owners. "There's no reason for us to raise taxes on anyone in Wisconsin …with the massive surplus we have now," Vos said. Democrats have disputed the surplus figure being used by Republicans. Evers' first State of the State reaffirmed a number of other promises from his campaign as well, including commitments to increase education spending. The governor said his budget proposal, due at the end of February, will include a $600-million increase in special education funding, a five-fold spending increase in K-12 mental health programs and spending bumps for early childhood education and summer school grant programs in the state's highest-need districts. "It is urgent that we increase support for our low-income students and students of color," Evers said. "The longer we wait to invest in closing our achievement gap, the wider the gap will get, and the more it will cost us in the long-run." Evers also said he wants to increase state spending on schools across the board, ensuring that state money covers two-thirds of district’s costs. Fitzgerald pushed back on those proposals, saying the governor was "kinda shooting the moon on some stuff." “The governor spent a lot of money tonight," Fitzgerald told reporters. "I think way beyond what ultimately is going to be available to the full finance committee." The governor also used his speech to unveil plans to improve drinking water quality in Wisconsin. 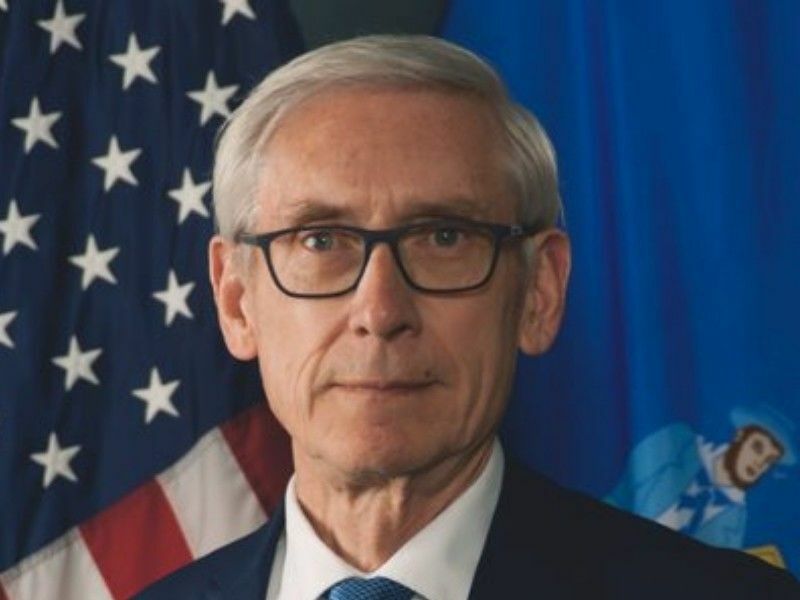 After proclaiming 2019 the "Year of Clean Drinking Water" in Wisconsin, Evers said he'll sign an executive order in the coming weeks to create a new state staff position within the state Department of Health Services to "address Wisconsin’s lead crisis and to help secure federal funding for prevention and treatment programs." Editor’s note: This story was updated with Republican response at 8:34 p.m. on January 22, 2019.